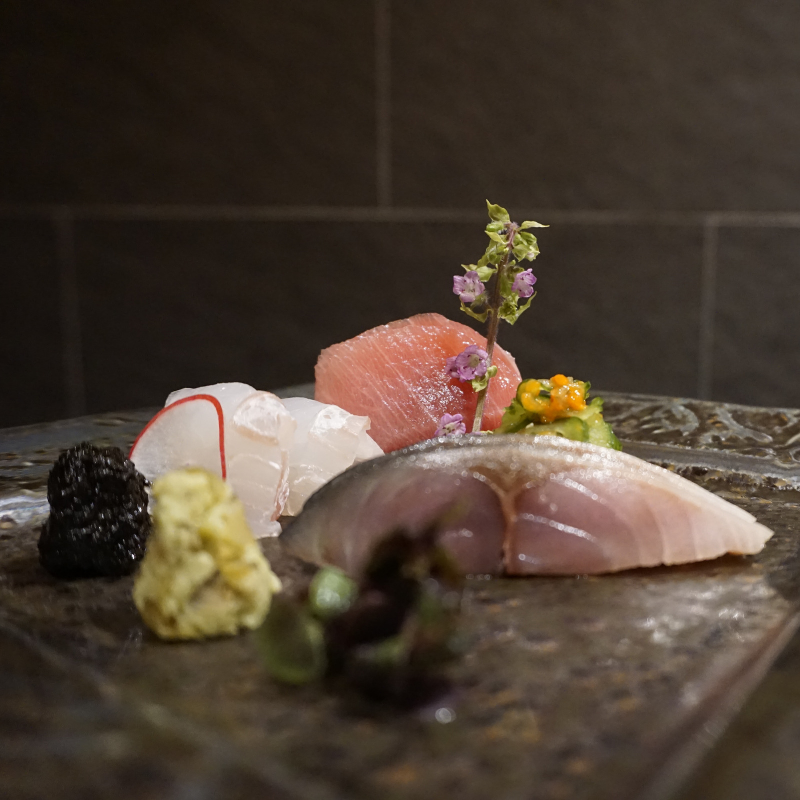 If you are into the fine-dining scene in Singapore, the name Hashida Sushi will definitely ring a bell, especially if Japanese food is right up your alley! With his culinary philosophy of using the best seasonal harvest paired with over 25 years of experience, Chef Kenjiro Hashida has managed to acquire a loyal following among Japanese cuisine enthusiasts, thanks to his high standard, friendly and affable personality. Today, his restaurant is back bigger and with an even better location, including a fully stocked bar filled with drinks that are specially selected by the chef himself. The specially curated omakase menu will be paired with three different gins from Ferdinand’s, MOM and The London No. 1. The dinner starts off with Ferdinand’s gin cocktails that are exclusively created by chef Hashida this very evening, followed by The London No. 1 Original Blue Gin and ending with MOM Gin. The range of cocktails served for the evening is sure to elevate each dish served with its fruity botanicals notes where one’s gastronomic curiosity will be satisfied with these high quality gins. Each diner will be presented with a bottle of Ferdinand Saar Dry Gin worth $99.